SET Result 2018 and SET 2018 Score Card can now be checked here.The result of Symbiosis Entrance Test (SET) 2018 is followed by selection process by colleges under Symbiosis International University. Candidates can now check here SET Result of 2018 conducted by Symbiosis International University. To download the scorecard candidates are required to log in using SET ID and Password. Candidates can check the SET Result 2018 as conducted by Symbiosis International University as per the schedule date mention above. To download the scorecard, candidates are required to log in using SET ID and Password to the direct link will be provided below. Note:- For Cut-offs and Next set of processes, Kindly contact the respective institutes. How to check SET Result 2018? Click on SET official website for checking the SET Result or direct link as provided above. Click on submit button to view and download your Result. Print your SET 2018 Result for future use. Contact to the respective institute/s for further selection process (Cut off and GE/PI). If you face problem in downloading the Score Card, please enable the popup window in your browser. Click here and follow the instructions. Note: Please use only the laptop/desktop to download your SET 2018 Scorecard, DO NOT use the smartphones/tablets. Candidates can check their results on-line on the Result date. 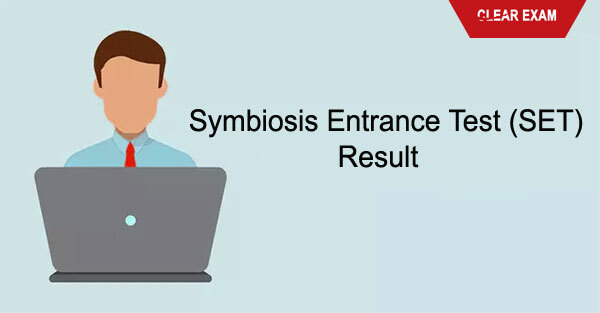 The Symbiosis Test Secretariat will report section wise results directly to the participating institutes wherever a candidate has applied. The individual institutes will declare lists of short-listed candidates according to their selection norms. The list of shortlisted candidates as declared by a participating institute shall be final and shall not be subject to any appeal or revaluation. While adequate care is taken in ensuring that there are no mistakes in reading the answer sheet by the scanning machine, there is no provision of revaluation of the answer sheet of any candidate. SET Result and Score Card – Symbiosis Entrance Test SET 2018 Result and SET 2018 Score Card can now be checked here. Result of Symbiosis Entrance Test.